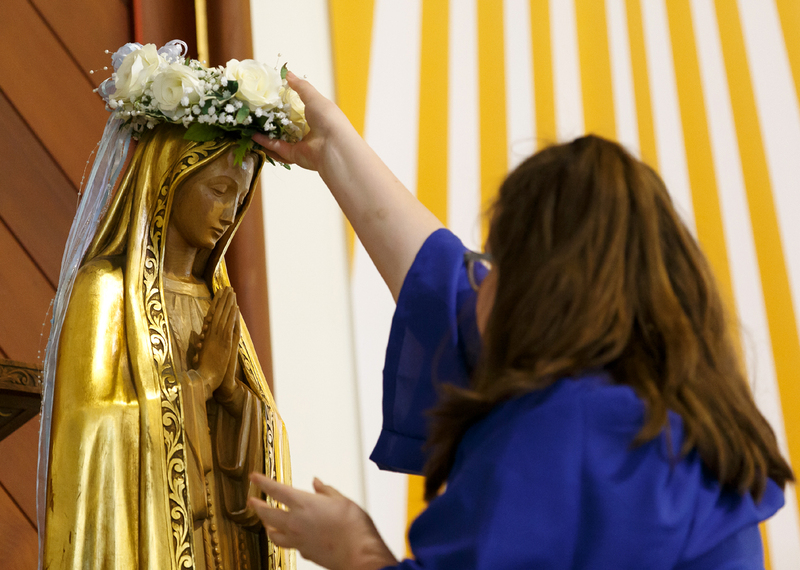 A statue of Mary receives a crown of white roses near the conclusion of Mass May 14 at Our Lady of Fatima Church in Secane, Delaware County. 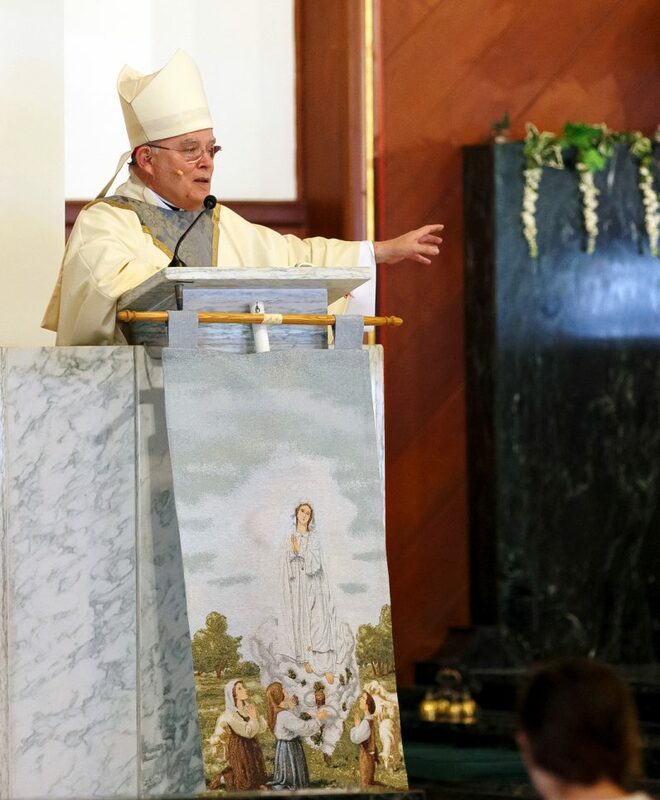 The flowers were part of a small ceremony commemorating the 100th anniversary of the apparition of the Virgin Mary to three children in Fatima, Portugal. A parishioner kisses the hand of Archbishop Charles Chaput following Mass at Our Lady of Fatima Church in Secane. 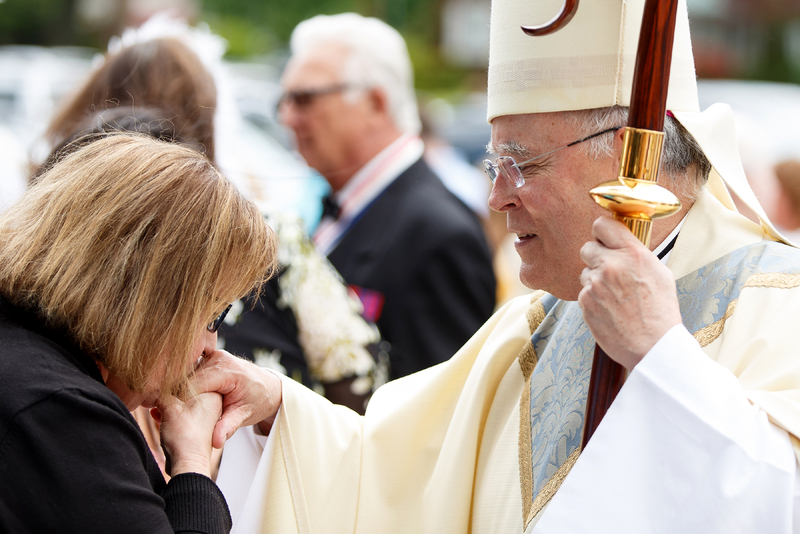 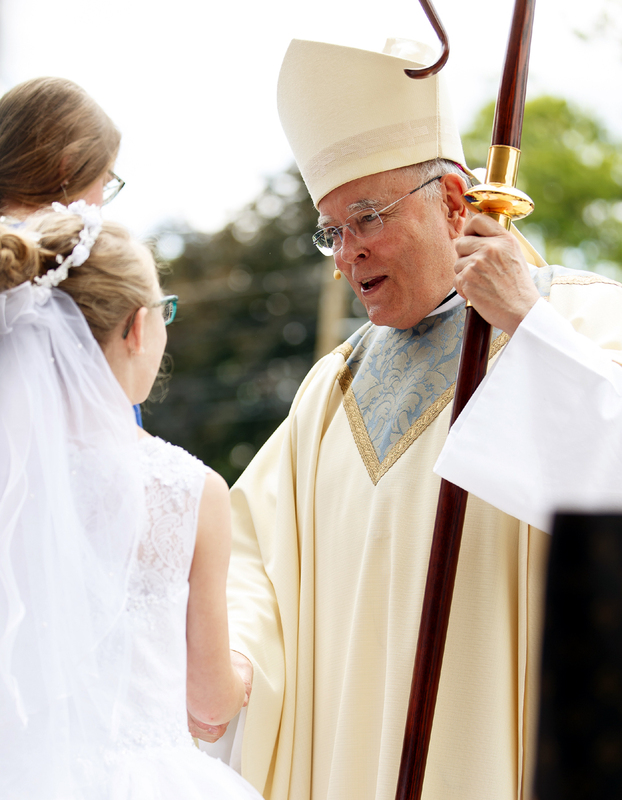 Archbishop Charles Chaput greets a young woman following Mass at Our Lady of Fatima Church, Secane. 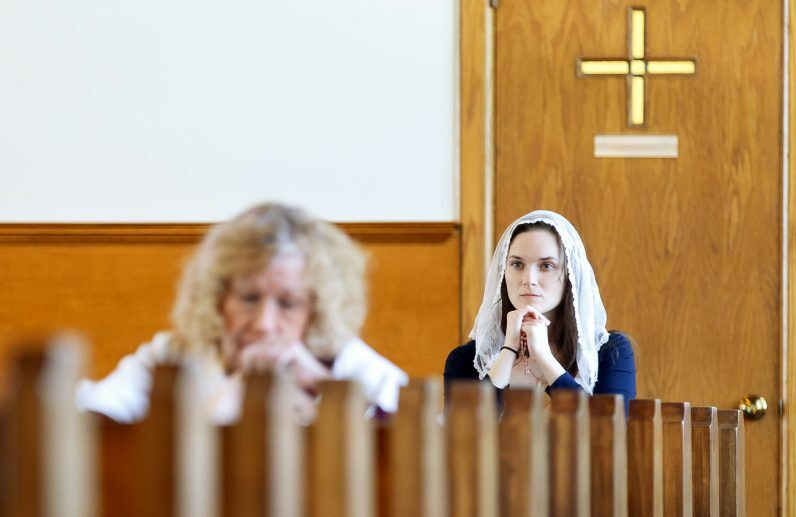 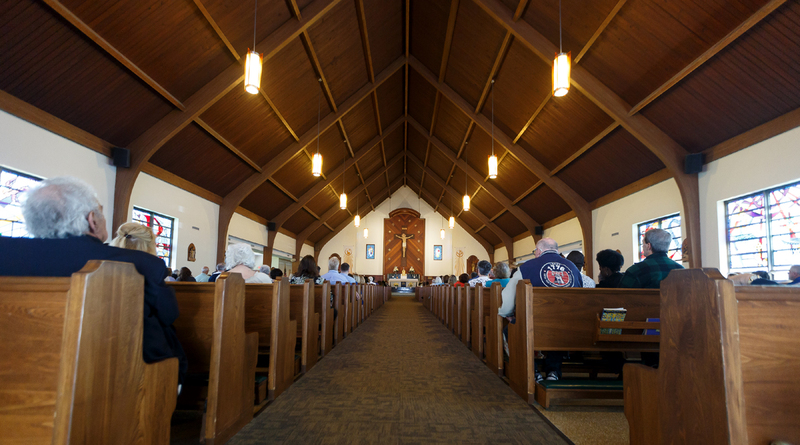 A woman prays the rosary prior to Mass at Our Lady of Fatima in Secane. 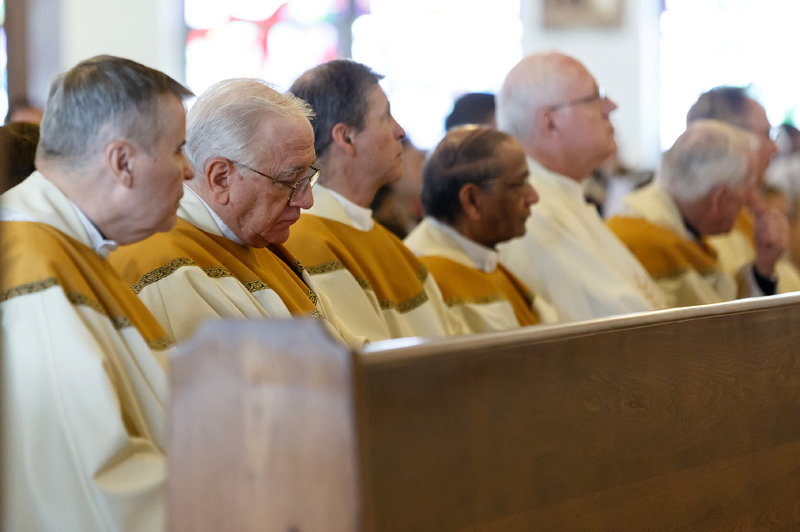 Priests from neighboring parishes in Delaware County concelebrated the Mass at Our Lady of Fatima Church, Secane. 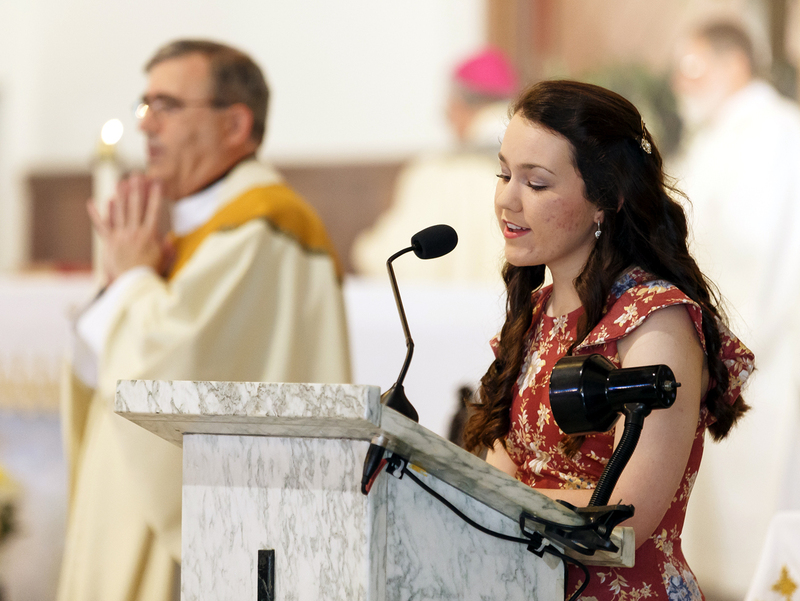 Christina Dietzler leads the congregation in song as cantor for the May 14 Mass at Our Lady of Fatima in Secane.